Ven. Mária Margit’s holy death calls to mind a number of other holy souls who died at the tender age of 27 – namely, Ven. Philomena of St. Columba (d. Aug 13, 1868), Dom Pius de Hemptinne (d. Jan 27, 1907), Bl. James Kern (d. Oct 20, 1924), St. Rafael Arnáiz Barón (d. April 26, 1938) and Ven. Benedetta Bianchi (d. Jan 23, 1964). Ven. Mária Margit Bogner is a truly remarkable soul. Like St. Therese – with whom she shared such a special friendship – she is playful, humorous, intelligent, artistic, and all aflame with love for Jesus. Is it a coincidence, then, that she died on the 50th anniversary of St. Therese’s cure by the Virgin of the Smile? Is it a coincidence that Ven. Mária Margit (i.e. Margaret Mary) died on the 13th anniversary of the canonization of St. Margaret Mary? “She is always near me.” Can we doubt that, from their place in Heaven, these two spouses of Christ now work together in a special way for souls? 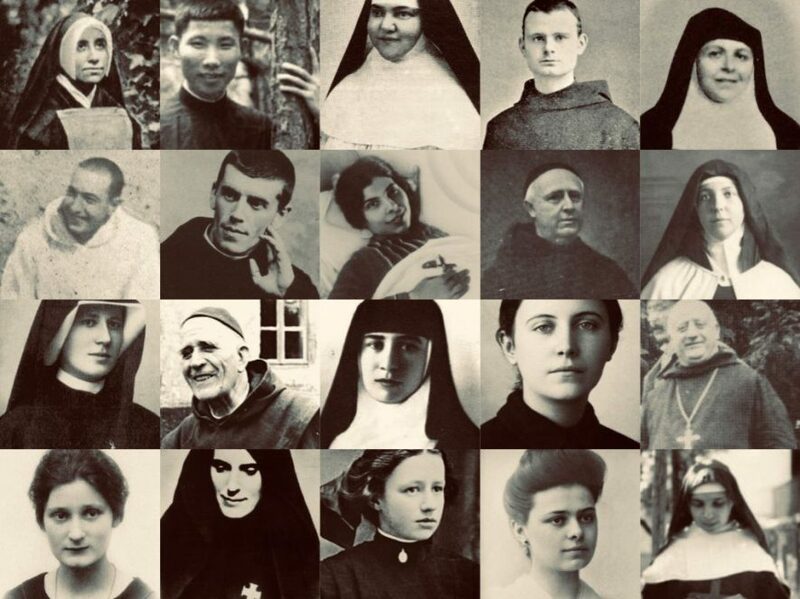 “When I am in heaven,” said St. Joseph Benedict Cottolengo to a religious Sister of St. Vincent, “where one can do everything, I will help you more than now I do. I will hold to the cloak of the Mother of God and keep my eyes fixed on you.” Surely these words can be applied to St. Therese and to Ven. Mária Margit, if not to all the saints. It is my belief that Ven. Mária Margit Bogner (who I discovered in October, 2017) has a special predilection for little souls – especially the littlest among them. If you are one such soul, ask for her intercession and see for yourself.